Copper Enamel Pins - Temple Coffee Roasters Inc.
For those of you who need to wear 37 pieces of flair, we've got just the thing for you. 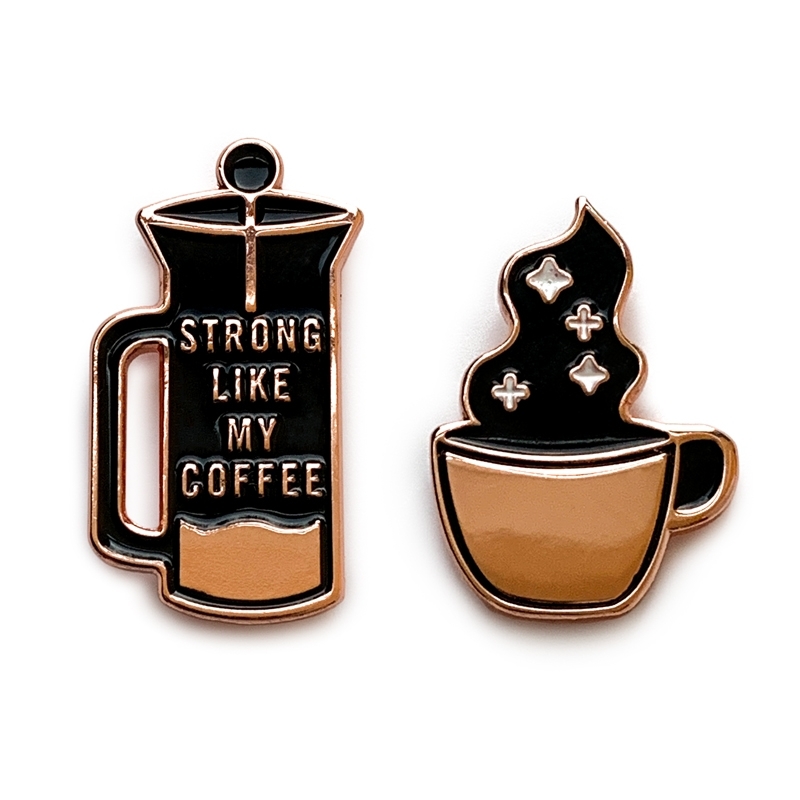 Wear the French Press pin and show people who you really are- a strong, independent coffee fanatic. You don't bench press, you French press. Alternatively, if you don't bench or French Press your coffee the Steamy Mug pin is still perfect for you! Who doesn't enjoy a good steaming cup of coffee?